Just in time for the exciting summer months, the Golden Isles is thrilled to announce a new webcam has been added to GoldenIsles.com. Viewers will now be able to enjoy a live feed of Jekyll Island, in addition to the existing feed of the St. Simons Island Pier Village. The new webcam offers several different angles, including the beautiful Jekyll Island beaches and the stunning five-mile stretch across the St. Simons Sound, all from the grounds of the Holiday Inn Resort. Picture yourself right here in the Golden Isles, relaxing along the Holiday Inn Resort’s poolside with a handcrafted drink from The Anchor. Or, maybe you’re snuggled up with a good book in one of the lawn cabanas overlooking the Atlantic Ocean. 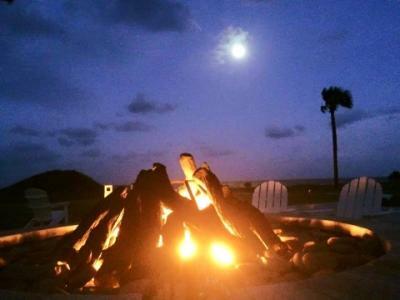 At nighttime, you could be one of the lucky guests enjoying a nightcap alongside the cozy fire pit while the ocean breeze blows gently across the lawn. Discover more about the Holiday Inn Resort and you’ll soon see why you need to book your next Golden Isles visit there. Spend time daydreaming about the Golden Isles while playing on the new Jekyll Island webcam. And when you’re ready to plan your trip, be sure to check out our Deals & Specials to have a rich experience without breaking the bank! Keep an eye on our webcams page, because you never know when a new camera will be added!